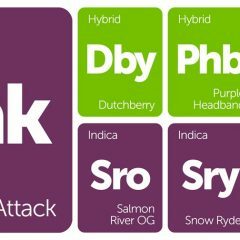 Check out these strains that were just added to the Leafly strain database! If you’re a fan of GSC (f.k.a Girl Scout Cookies) or White Fire OG, we’ve got good news: all of these strains are genetically similar. Both of these powerhouse hybrids appear on our list of strongest strains, so keep in mind what you’re getting into if you manage to track down any of these varieties! Happy strain hunting this Memorial Day weekend, and be sure to review all those new strains you encounter in your adventures over the break! Cookie Jar is a dessert blend of Platinum GSC (f.k.a Girl Scout Cookies) crossed with White Fire Alien OG. This sweet treat exhibits a telltale aroma of baked cookies, and the strain’s effects are native to the Cookies family: blissful euphoria coupled with full-body relaxation. 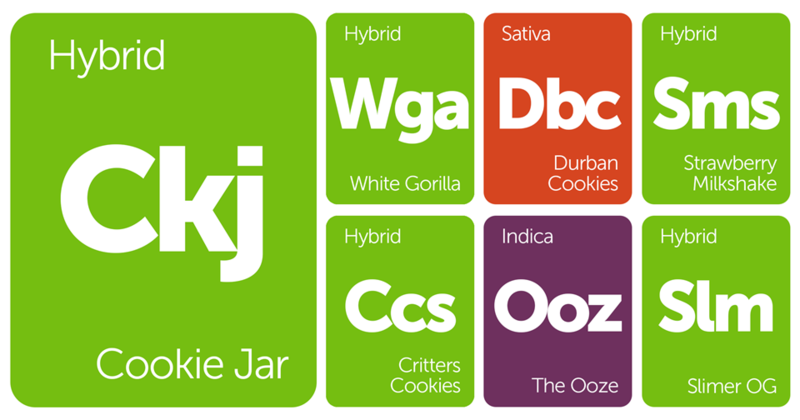 Consider using Cookie Jar as a preemptive remedy for headaches, anxiety, or insomnia. Durban Cookies is the Durban Poison-dominant phenotype of GSC (f.k.a Girl Scout Cookies). Known for its invigorating mental energy and medical-grade body buzz, Durban Cookies offers a more energizing experience with powerful pain relieving qualities, making this sativa-dominant strain a top choice for patients treating aches throughout the day. Strawberry Milkshake, a perfect 50/50 hybrid, flaunts the fruity flavor of its parent, Strawberry Soda, and the pungent richness of White Fire Alien OG. This combination leaves muscles relaxed and politely tranquilizes overactive, racing minds. 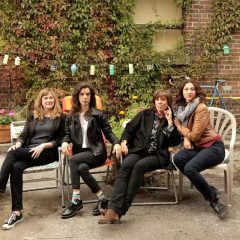 Expect laughter, a touch of energy, and a noticeable weight in the eyes. The Ooze is an 80/20 indica-dominant cross of Green Crack and White Fire Alien OG. With effects that sedate and relax, The Ooze takes its title seriously. Employ this heavyweight in the evening to stimulate appetite and encourage rest, or look to this strain for contending with strong social anxiety. Just don’t plan on doing too much too fast. White Gorilla combines the resinous production of GG4 with the aromatic bouquet and stress relief of White Fire Alien OG. The outstanding pair sits nearly on the hybrid line, making a 55/45 indica-dominant cross that soothes as it uplifts. This generous crop tends to finish flowering in about 8 to 9 weeks. The Slimer OG indica-dominant hybrid offers a double dose of ocean grown genetics through the heavy but functional Ghost OG and the complex aroma and subdued stimulation of White Fire Alien OG. Slimer OG will ignite your appetite and compel a sense of physical wellness. Expect a delicious earthy aroma with an air of OG Kush on the finish. 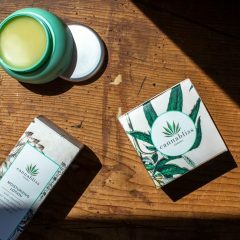 I Tried Cannabis Beauty Products on Acne-Prone Skin for a Month. Should You?